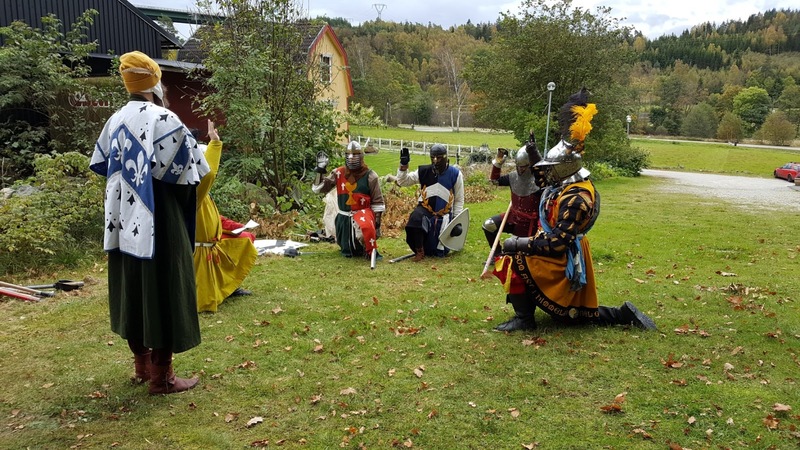 The second annual event of the barony of Gotvik took place this weekend. I missed Friday night because I went to see the Jesus and Mary Chain play, but thankt ot a friend with a car I arrived at the site at 10 am on Saturday morning. 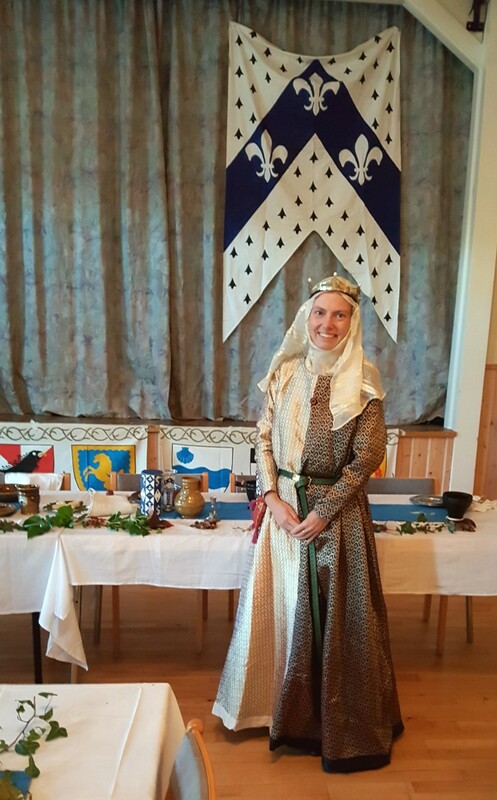 It was a very nice and cosy event. 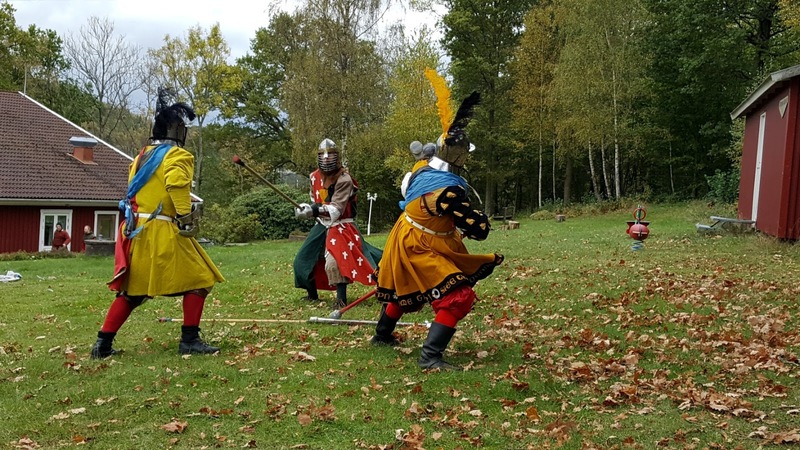 The baron had organized a Pas d'armes, and despite there being few attendants this time it was great fun to watch and there will be a continuation of this, with a bigger Pas d'armes next year. 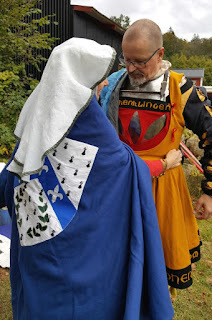 I have a few photos of me, wearing the period c 1250-1320, taken by fru Katarina Krognos and herr Peder. 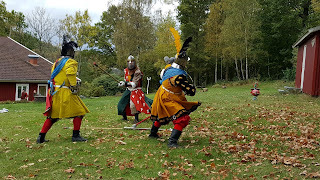 And also some photos of the fighting, taken by me. 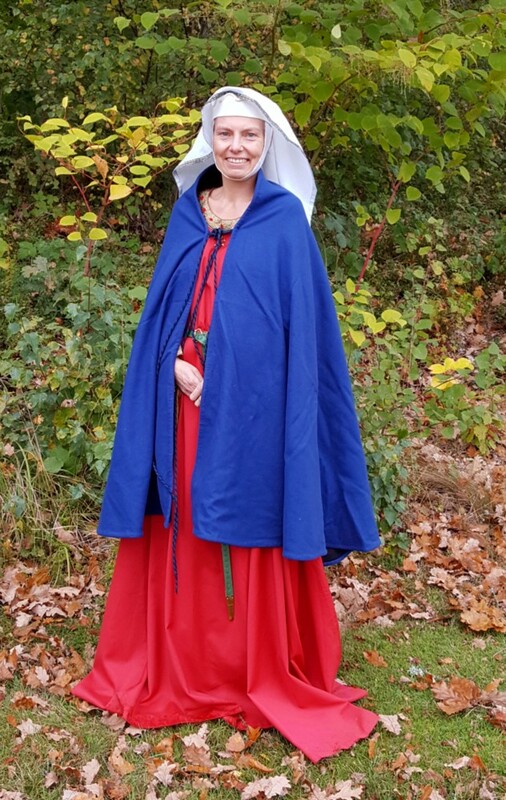 The red c. 1300 gown. 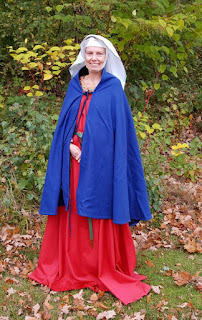 It got cold to be outside, so I put on my embrodiered c. 1250 gown. 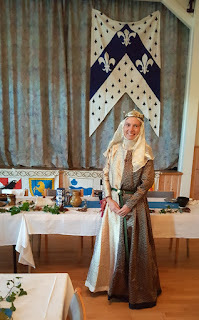 And for court and feast I wore my late 13th century Italian mi-parti gown and a wimple and veil striped with gold. 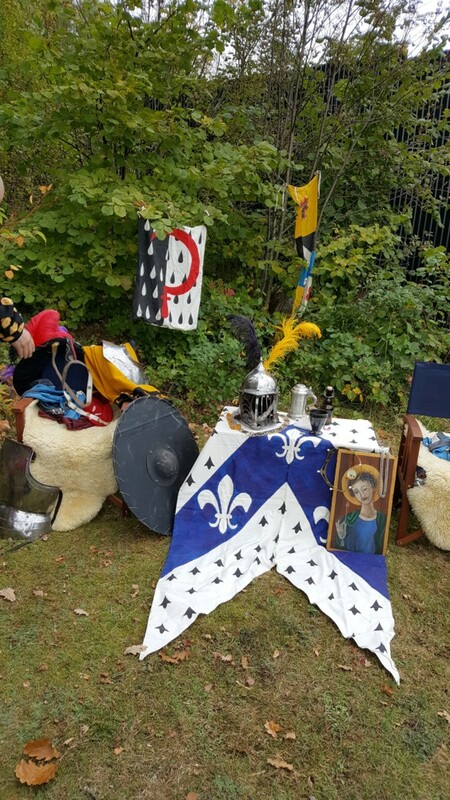 The pas d'armes was in honour of Gotvik's fictive patron saint Saint Egon, so of course his icon was there, along with banners and other pretty stuff. Me and the baron. 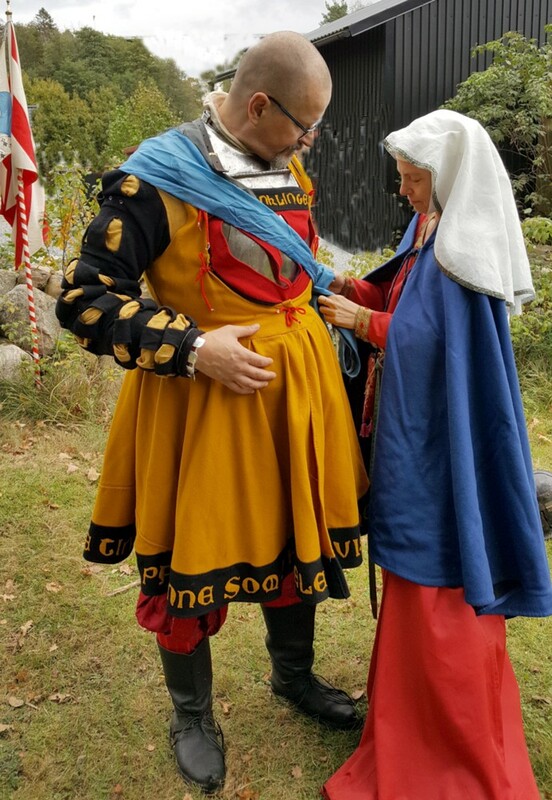 He's wearing his ca 1550s German waffenrock that I made for him for Estrella was this year. I tied Gotvik pennants as baldrics for the defenders, here with Sir Franz von Hohenklingen. 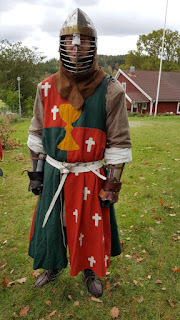 Earl Wlfric, I love his 12th century fighting outfit. 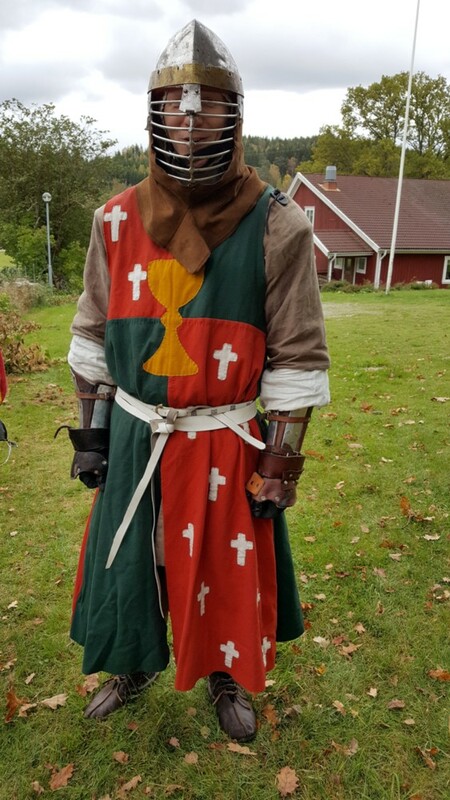 Note the very typical belt. 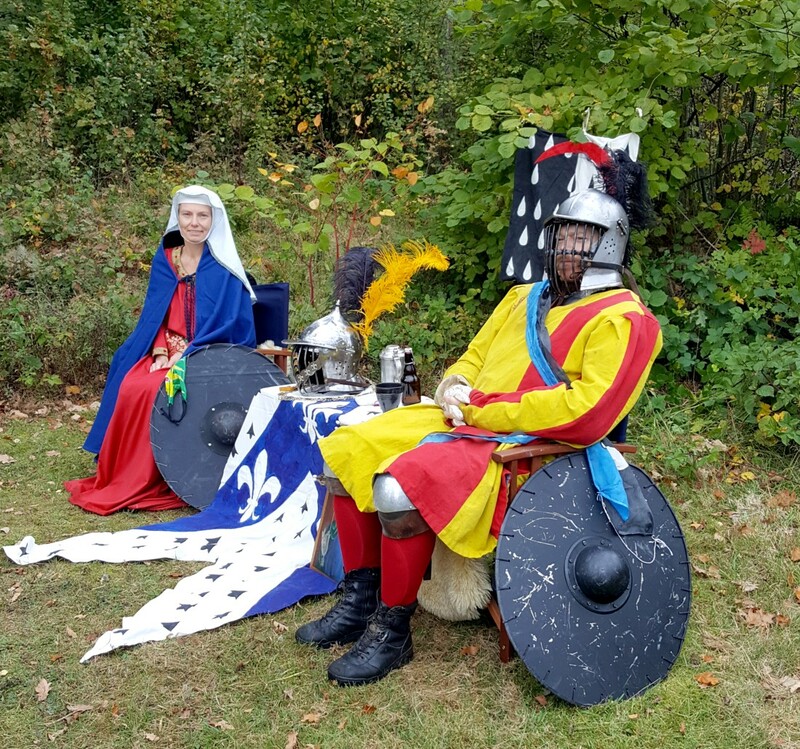 Marvelous. I love your veil! 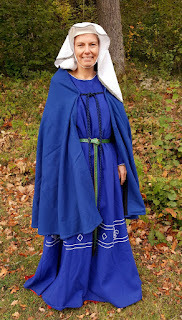 It looks graceful and perfect for the period--something I struggle to achieve in my own costuming. Thank you. I lvoe wearign veils, it feels so elegant and romantic.